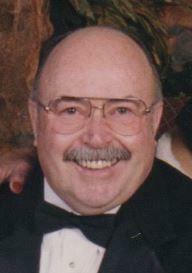 Paul W. Girard, longtime resident of Concord, award-winning journalist, volunteer and father of two, died Tuesday, March 26, 2019 due to Alzheimer's and dementia, according to his family. He was 83. Paul was a man of “fierce loyalties” who was both a crusader and a kind, generous man who loved family above all else. He was very active in the Boy Scouts, the Delta Sigma Chi Professional Journalistic Society, Kappa Alpha Mu National Honorary Fraternity in Photojournalism, Delta Sigma Phi fraternity, and Saint Mary's College High School of Berkeley. He was a member of the local amateur radio emergency service, where he helped provide communications for fire and law enforcement agencies during many disasters including the Oakland Hills fire of 1991. Paul started his journalism career after graduating from San Jose State College with a degree in Journalism and Public Relations in 1959. He worked as a general assignment and investigative reporter at the Woodland Daily Democrat until 1961, when he joined the Antioch Daily Ledger, where he covered city government, education and business. He took a position as the Fairfield Bureau Chief of the Vallejo Times Herald in 1963, a position he held for four years, and where he covered Travis Air Force Base during the breakout of hostilities in Vietnam. As a journalist he won awards for excellence and Best City News Story from the press clubs of Contra Costa County and San Francisco, respectively. Paul shifted his career in 1967 when he became a Senior Public Information Representative, and later a Nuclear Emergency Planning Specialist, for Pacific Gas & Electric. He worked for PG&E for the next 20 years, where he handled all external communications for Diablo Canyon Power Plant and held direct public information responsibility for six of PG&E's 13 divisions. He retired from PG&E in 1987 and eventually took a position as a Senior Executive Assistant for Bank of America, where he served until the early 2000's. He also pursued his lifelong loves of fishing and golf, while also discovering a new love for travel, particularly to China, which he visited three times. One of his lesser-known claims to fame include a print ad for Sunset fishing line, where he was featured in silhouette making “the perfect cast.” Another was being the grandson of Wilfrid Girard, founder of John's Grill in San Francisco, which is known for being the home of the Dashiell Hammett Society and the setting for part of The Maltese Falcon. Paul was born April 18, 1935 in San Francisco to McCone “Mack” and Elizabeth Jewell Girard. He married Nancy Homick in 1963 with whom he lived and loved for 37 years until she passed away in 2000 from cancer. He is survived today by his son Eric and his wife Erin, daughter Nicole Thornton and her husband David, along with his sisters, Sr. Noël Girard SNJM and Carolyn Cassayre, and granddaughters Elizabeth (Elsie) and Emilia (Emmy) Girard. A funeral Mass will be held Saturday, April 6, 12:00 p.m. at St. Apollinaris Catholic Church, 3700 Lassen Street, Napa, CA 94558, (707) 257-2555. A reception will follow. In lieu of flowers, please make a donation to your favorite charity in Paul's honor.